What the Hell Happened to...Pervis Ellison? 20 years ago. 20 years is a long time. But the optimism that Pervis Ellison and Dominique Wilkins brought to Celtics fans in the summer of 1994 was nothing short of intoxicating. At the time, after coming off the 1994 campaign which was unequivocally the most disastrous Celtics' team of my short life, anything was bound to get you optimistic. ML Carr inked Dominique. And then he got "Never Nervous" Pervis Ellison. The pieces were falling into place for a deep playoff run in my mind. The same Pervis Ellison that carried Louisville on his back to a national title as a freshman. The same Pervis Ellison that was drafted with the number one overall pick in the 1989 draft. If you saw him play back in the day, before the injuries, it wasn't far-fetched to think of comparisons to Bill Russell. That's right, you read that correctly. The impeccable timing on the shot-blocking. The quick first leap and quick second leap. And he had a flourishing offensive game. Surely there must be something left in the tank were my thoughts. His injuries will be a thing of the past. But they weren't. He came to the C's in 1995 and was there until 2000 although he never exceeded the 69 game mark for a season and only played a total of 69 games his last 3 seasons with the Celtics combined. For his career, which actually lasted 11 seasons, he only played in 474 total games (and 4 playoff games with the Celts back in 1995). He retired after 1 final season with the Sonics in 2001. One of the most amazing things was that he made it through the Evil Emperor's guillotine and remaining in Boston and even being named captain in 1998. You may recall Pervis is also famously remembered for dropping a table on his toe and missing extended time. This also happened to Kendrick Perkins. So in the grand scheme of things was he a bigger disappointment than Michael Olowokandi? I say no. I also think he's leaps and bounds better than Kwame Brown ever was. In his third year with the Bullets Ellison averaged 20 and 11; Olowokandi can't say that and neither can Brown. Until Ellison got hurt in one of the most gruesome injuries I've ever seen (fortunately I couldn't find this on youtube) where his leg bends the wrong way while he's standing up, I think he could've amounted to a pretty decent player. Someone with a career comparable statistically to Antonio McDyess or Christian Laettner (also both top 3 picks). Unfortunately for Pervis his injuries were his plight in the NBA. So whatever happened to Pervis? First off he needs to be commended for his charitable deeds including providing five full scholarships worth $4,800 apiece so disadvantaged youth can attend the school known as the New Beginnings Academy- affectionately known as the "NBA." 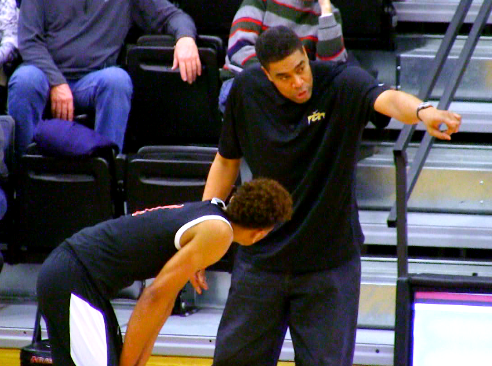 Even more recently of note is that Pervis is the coach at Life Center in Voohrees, NJ where he coaches his son Malik Ellison. Malik is currently a senior with some offers from Minnesota, Maryland and Penn State. Here's some Malik highlights if you're interested too. Pervis' daughter Aja Ellison proves that athletic genes run in the family. She was also a star basketball player in high school and currently plays for the University of Maryland. And here's a Pervis interview from back in 2010 when he was coaching younger kids in AAU. Celticslife thanks Pervis for his years in Boston and wishes him future luck with all his endeavors. Good job TB. Lots of stuff in here. i did check out pervisellison.com and have now scheduled an appointment with the eye doctor. Should of heeded your advice on that one. Listening to Pervis in that video I must admit I always thought Kobe Bryant was trying with his voice to sound like Jordan, but really he's trying to be Pervis! OMG! 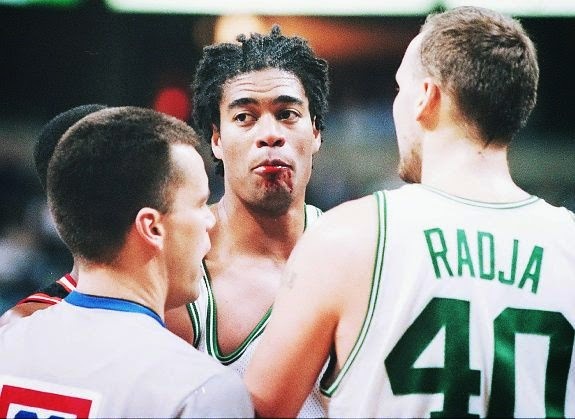 Pervis Ellison, another mythical Celtic :P I love these articles TB, really awesome! Vicki had her title changed to Administrator. Some people just insist on sucking all the fun out of life.